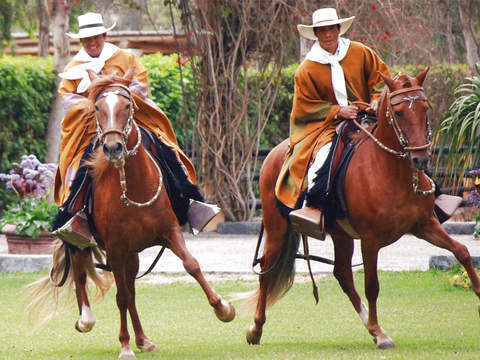 Enjoy the best Peruvian Horse Show and the dance of the northern sailor. 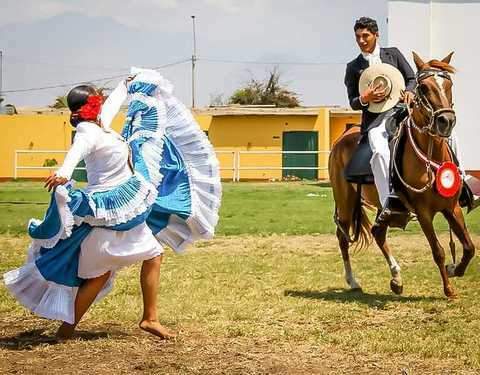 "The Show of the Peruvian Paso Horse and the dance of the Northern Marinera", has just been awarded the Best Artistic Show 2015 by the Chamber of Tourism (CADETUR) of the Region La Libertad. In the first part of the show a historical review of the origins of this equine race is made. It makes a nice explanation about the main characteristics and the difference between other equine races in the world. We present examples of various ages and talk about the care given to foals and filly in their early years. Each visitor has the opportunity to feed one of the horses. 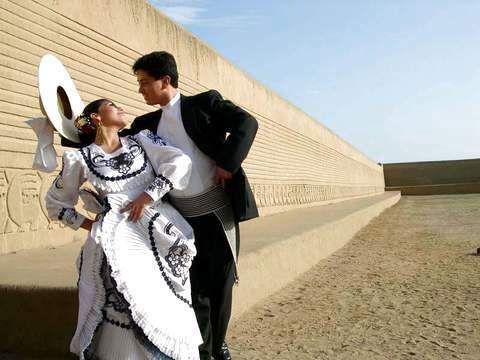 The second part of the show consists of musical numbers, such as Marinera Norteña on foot, on horseback, Peruvian feast, trujillano zapateo (a derivative of the Northern Marinera) to live peruvian drawer rhythm. The Peruvian Paso Horses are part of each of these artistic numbers. Before or after the show visitors can take a tour of the back stables and photograph or film scenes of interest. In the facilities of the fund there are services of first level of restaurant and where the visitors have the option to have lunch before or after the show. You can also buy souvenirs of your visit, such as ponchos, hats, key rings, etc. Assistance and entrance to the Show. Right to travel by stables. The hosts make the presentation in Spanish and - on request - also in the English language. French visitors are given an orientation card in their own language. 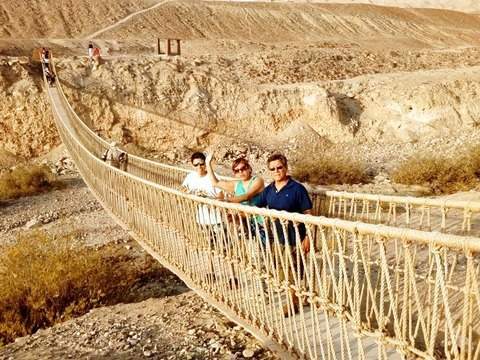 The service could be CANCELED eventually by the Concurso de Caballos de Paso that are held in the background and are organized by the Breeding Association of the region. In that case, the traveler will be notified in advance of any necessary coordination.